Sign up with us and start creating your dreamed registry. Are you ready to "get lost"? Lost Hotels offers the classics like Tahiti, Maldives, Italy and Greece with many unique destinations and adventures to create the perfect honeymoon for you! Give A Gift To The Couple! Find your friend's registry and give them a gift. We can help you plan any escape, adventure, cruise, yoga retreat or bachelorette weekend with the gals. We have great partners and unique destinations to discover. Lost Hotels has romantic destinations perfect for an intimate wedding on the beach, the desert or anywhere you can dream off. 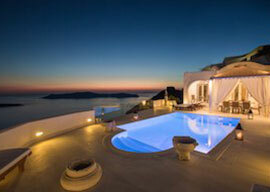 We can find the perfect villa for your honeymoon or an intimate wedding. Private, romantic and very chic. 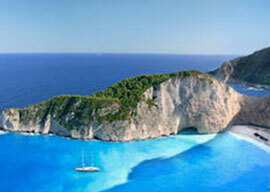 Looking to island hop in Croatia, the Greek Islands or the Caribbean? We have the perfect boat for you and your crew! 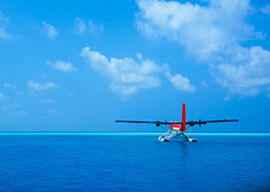 We have access to private jets, helicopters and sea planes around the world. Wanna do it in style? We have great relationships with all cruise companies around the world, Luxury, river and expedition cruises available. We can provide any type of vehicles for your trip or transfers between any 2 points. Looking for a cool destination or activity for your next product launch or team building event? We gotcha! We have amazing LGBT friendly destinations for weddings, honeymoons or simply to get lost.